The latest 2017 vintage of Medina Sangiovese has been released for sale. Malta is thirsting for more wine made from locally-grown varieties. Of the many dark-skinned possibilities, Sangiovese is one of the least explored grapes and yet it has a lot to offer. Sangiovese was shyly introduced to the archipelago’s vineyards at the turn of the century together with other international varieties. But, as far as red wine grapes are concerned, wines made from the far more extensively planted Syrah, Merlot and Cabernet varieties are the ones that have since been in the limelight. Sangiovese (san-joh-VAY-zeh) – occasionally incorrectly pronounced with an audible ‘i’ or as ‘Sangionevese’ with an added fifth syllable – is, of course, the purple grape that prevails in central Italy, particularly Tuscany. It’s the key part of renowned Tuscan wines like Chianti, Chianto Classico, Vino Nobile di Montepulciano, Brunello di Montalcino and Morellino di Scansano, as well as countless Supertuscans. A little-known fact is that Sangiovese is by far Italy’s most planted wine grape. It’s used in hundreds of appellations throughout the country, accounting for a staggering 71,000 hectares of vineyards. While plantings are found worldwide nowadays, Sangiovese is still one of the least grown cultivars in Malta, covering only a total land area the size of about six football fields. True, it’s a sensitive grape and needs attention to site, clone and yield. But, although it’s not a grape for everywhere, it should succeed in Maltese vineyards. After all, Sangiovese already does well in coastal areas in California and Australia with a mild climate similar to Malta’s. Give a pied-à-terre to vines of the right strains and you’ll see them thrive in our appropriately poor but limestone-rich soils. Malta’s bright and dry weather is suitably sunny, too, for the berries of the slow-ripening Sangiovese variety to ripen fully. I see a promising future for Sangiovese in Malta and Gozo and wish more people would start growing it. Delicata was the first winery to give the variety a chance, namely as a mono-varietal in their Medina selection way back in 2007. The wine is not without interest and well worth trying – but you must rush out to get hold of a bottle of 2017 vintage since it’s so small. Given the scarcity of plantings, only a handful of different bottlings of Maltese Sangiovese are commercially available. So, it’s near impossible at the moment to identify a common denominator. The wines reflect house styles more than the locale. Delicata’s Medina Sangiovese IGT Maltese Islands is a rare and unwooded label. It has been consistent in quality throughout its 11 consecutive vintages as a toothsome red with a unique character. I fancy the wine’s aromatic levity with delicate scents of violets, its generosity of Morello cherry flavours on the palate, and its charming combination of wayward frankness, unassuming directness and gusto which is unmistakably Sangiovese. It might not get the same attention as its Tuscan counterparts, but then again very few wines from outside the region, including the fine ones from neighbouring Umbria, Marche or Romagna, ever do. 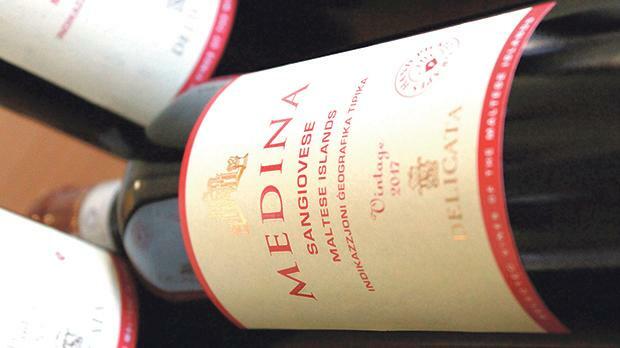 Nonetheless, there are good reasons for seeking out Sangiovese of Malta. Delicata’s unoaked Medina Sangiovese for one will appeal to anyone with nostalgia for the floral perfume and juicy vibrancy of young Sangiovese, as the wine represents an approachable and unspoiled varietal style that Tuscany has long forgotten.